What do you do with a verse like this as a woman? If you feel a call from God to ministry does this mean you need to give up that calling and just "be quiet"? Does it mean that you can have no voice in the church? This is an issue that obviously has existential importance. It has to do with allowing a person (in this case a female person) to not be allowed to be who they believe they are called to be; it has to do with denying them a voice and a seat at the table. It's therefore understandable that lots of us struggle with verses like these in the Bible. We struggle because we find such passages morally objectionable and hurtful. We struggle motivated by compassion, motivated by what we have learned from our Lord Jesus. A common way of dealing with such passages is to argue that Paul did not actually write 1 Timothy, the implication of this being that if Paul did not write it we are all free to ignore whatever it says. Now, there is indeed valid scholarly evidence that this is true. However many of those same scholars would also claim that Jesus did not actually say "Forgive them Father, for they know not what they do" (Luke 23:34). So why is it that we latch on to the scholars saying Paul did not write 1st Timothy, but we are not questioning Jesus and forgiveness? If we are honest, it's because we like the stuff about forgiveness, and don't like the stuff about telling women to shut up. We recognize that forgiveness is morally good, and that making women submit is morally problematic. The fact is, We aren't coming to the issue neutrally; we already have a problem with gender inequality, and when we hear that Paul may not have written 1 Timothy we are happy for an excuse to disregard it as "inauthentic." Now no one doubts that Paul wrote 1 Corinthians, however the argument that is often advanced here is to claim that this was a particular issue that Paul was addressing with certain disruptive people in the church of Corinth, and that we should therefore not take this as a general principle that would apply to all women for all time. In short: It's cultural. Again, the point is not that this argument does not have validity. The point is that this is not where we actually begin. We actually begin by having a moral problem with this verse, and then use the scholarly argument (cultural context) to justify why we choose to see this verse as not being applicable to our lives, while we see other verses (like all that good stuff about "love is patient, love is kind" just one chapter earlier in 1 Corinthians 13) as being applicable for our lives, and not as merely cultural. Now, don't get me wrong: I'm not saying we shouldn't question verses like these. I think we are right to question them. In fact, I would say that it is imperative that we question religious commands that we recognize as being hurtful. This is precisely how Jesus approached the Bible. 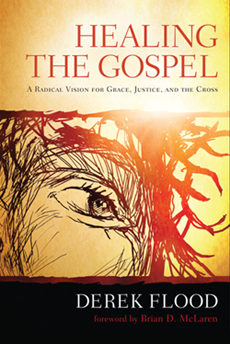 To instead read it unquestioningly is what the Pharisees did, and what Jesus condemned. So I think coming to the biblical text with such moral questions is vital to healthy Jesus-shaped faith. Because I believe that, where I do want to challenge my progressive sisters and brothers is with being honest about what we are doing. We need to own and embrace what we are doing. When we make the argument that "Paul did not write that" or "that's just cultural" the assumption is often that we are coming at this objectively and simply going with what scholars and "science" says. That is disingenuous. The real reason is that we come to the text with a moral perspective that causes us to stumble over them in the first place. We need to admit that, and we need to validate it. The reason many of us hide behind scholarship here (especially those of us who come from a conservative background) is that there is an implication that it would be bad to come to the Bible with a moral perspective. 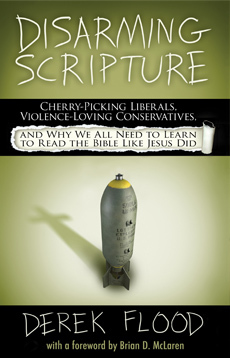 If we admit that, we will quickly be accused of "imposing our liberal modern sensibilities onto God's Word." We aren't supposed to impose our morality on the Bible, we're supposed to let the Bible teach us about what's right. Right? When we read the Bible in an unquestioning way we are reading like the Pharisees, and as Jesus says over and over again, the error they made was that in reading Scripture in this unquestioning way they actually missed the entire point of Scripture which is to lead us to love. Instead it became a weapon used to keep people away from love and from life. That still goes on among many modern day Christian Pharisees, and the gender equality debate is an example of this. If we truly understand the reason Jesus was so adamantly opposed to how the Pharisees were (mis)reading Scripture, we need to recognize that Jesus came to the Bible with a set of moral assumptions intact and applied these as he read. This lead him to do things like healing on the Sabbath which was breaking the law from the perspective of the Pharisees, but was fulfilling it from the perspective of Jesus because he was loving and caring for people in need. When we likewise come to the text with the values of Jesus in mind, with compassion for the marginalized on our hearts, we need to see that this is a good thing which we need to affirm, rather than deny or hide. That means when we find ourselves questioning verses that seem hurtful to us, the first thing we need to do is recognize that those questions are a vital part of a healthy Jesus-shaped approach to faith and Scripture. So let's own and embrace these questions and the moral assumptions behind them. Let's recognize that it's good to read the Bible morally, and bad the read it amorally. What are the values we are bringing to the text? Are they inline with the values of Jesus? How do we know? How can we develop and grow in these values as followers of Christ? These are the kinds of questions we need to explore as we learn to think morally, and develop what Paul calls "the mind of Christ." Rather than keeping them hidden and thus unreflected (and perhaps as a result undeveloped), let's bring our questions and moral assumptions into the light. I've always assumed that whoever wrote this verse,he certainly wasn't God, and therefore that the I of this verse should not be understood to refer to God. "Women should remain silent in the churches. They are not allowed to speak, but must be in submission, as the law says... for it is disgraceful for a woman to speak in the church." (1 Corinthians 14:34-35) I also hold that these verses give a very good reason why women should not have spoken in church in Biblical times. They would have been socially disgraced.. In the society in which I live women are not disgraced by speaking out in public, so therefore there is no longer any reason for us to be silent. The Jesus of the Bible spoke and listened to women, and turned water into wine just because his mother asked him to. To try to honour him by insisting that it is his will that women be perpetually silenced is bizarre. I know some Christian's take very hard line views on homosexuality, it has been a long time since I heard anyone expressing similar hard line views on the female unfriendly verses, but I think you're right we need to interpret what the Bible says in the light of what we know about Jesus. "They would have been socially disgraced.. In the society in which I live women are not disgraced by speaking out in public, so therefore there is no longer any reason for us to be silent." That's true today because people worked to change culture. In the past it was seen as a "disgrace" to marry a person of another race. In many parts of the country is is considered a "disgrace" to see two men kiss. So the question becomes: what do we do when our culture is messed up, excluding people, shaming them (whether that's women, or minorities, or gays)? What's hard about this is that we cannot look to the Bible here since a lot of the time in the NT we see them accepting things as "normal" (like slavery) that we today would regard as morally unacceptable today. So how did the abolitionists recognize that despite the Bible and despite their culture's values that slavery was wrong? How did the people fighting for women's rights do the same? How can we do the same with the issues of our day like gay rights so that we as followers of Christ are on the moral cutting edge? Is the Bible a treasure in a jar of clay?